Chris has over 18 years of experience in almost all aspects of intellectual property law, with particular emphasis in the acquisition and protection of patent rights. He is also experienced in litigation, client counseling and transactional matters. 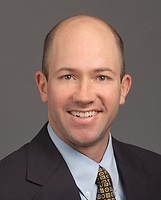 His litigation experience includes disputes regarding patents, copyrights and domain names. He has counseled clients on a variety of intellectual property matters with an emphasis on infringement and validity issues. His transactional experience ranges from mergers and acquisitions to licensing arrangements, joint ventures and collaborations, including agreements for drug discovery and research, manufacturing and marketing. Chris's technology experience began before law school, when he worked at the Medical College of Virginia investigating malaria. Today, his technical proficiency spans a variety of disciplines, including pharmaceuticals and the chemical, software and mechanical arts, in addition to various areas of biotechnology. Chris regularly advises clients on the development and management of their intellectual property portfolios, particularly as it relates to patents and trade secrets. Chris has extensive experience representing clients related to their pharmaceutical and biotechnology related inventions, including work with several large branded U.S. and foreign pharmaceutical companies. For several years Chris managed a portfolio of several hundred active patent cases for a client involved in electronics, software and mechanical technologies and he handled numerous automotive patent cases for various German automobile manufacturers.